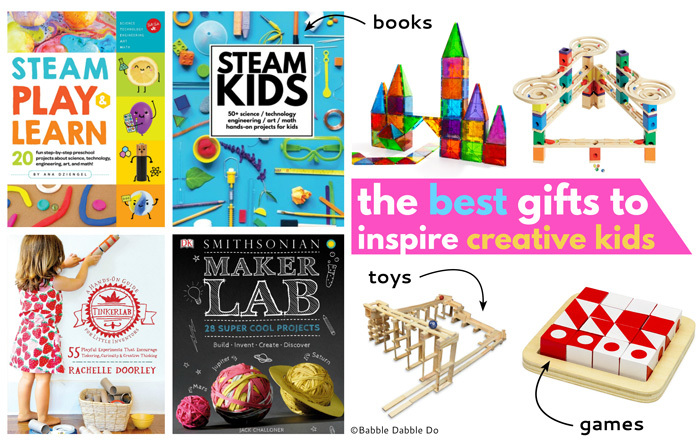 If you are a kid at heart like me, or have young creators at home I put together this list of some of my favorite new and classic books, toys, supplies, and games to light your children’s creative, problem solving mind on fire! 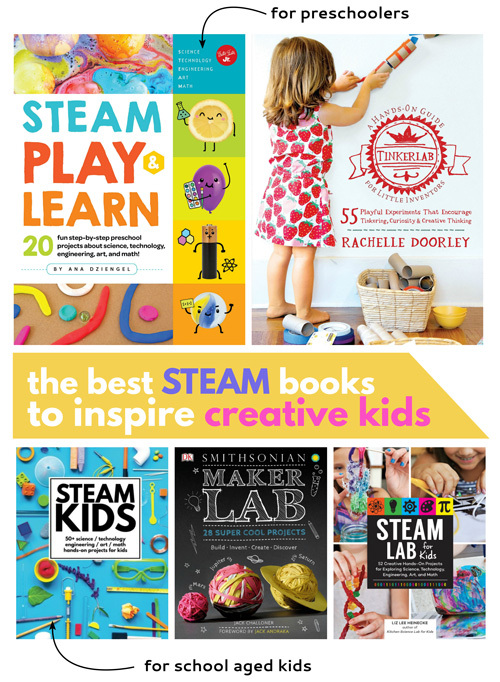 At the top of the post are 5 of my favorite books for STEAM project ideas as well as the top toy every creative family should have. After the general booklist I’ve divided this list into the STEAM categories: Scientist, Technologist, Engineer, Artist, and Mathematician. Links to individual products are in the product title and after each section I have a curated list of all the products on Amazon so you can see them in one place! 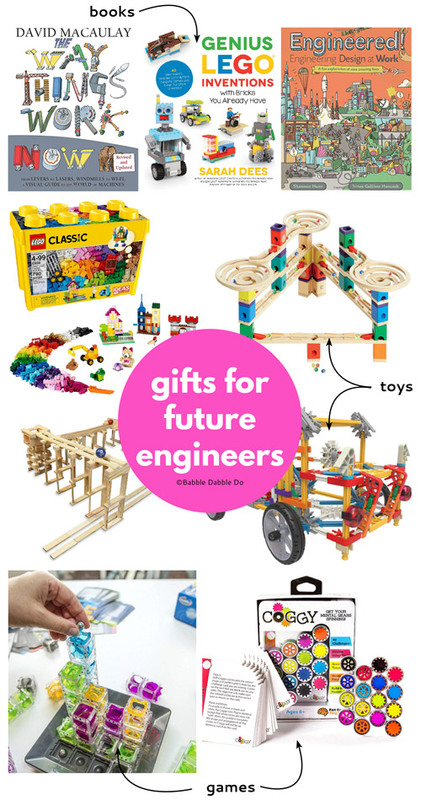 Also note that this is a gift list, not an exhaustive list of toys but rather a curated list of special toys and games that will make lovely presents during the holidays. I want to preface this list by saying that the main philosophy behind STEAM is a cross disciplinary approach to projects. I consider STEAM projects those that span 2 or more STEAM topics in one project. That said after working with countless kids in our STEAM Camps and after school STEAM program, I understand that many kids lean towards certain STEAM subjects. Some kids are by nature more interested in art, some want to build, build, build, and other can’t get enough science. 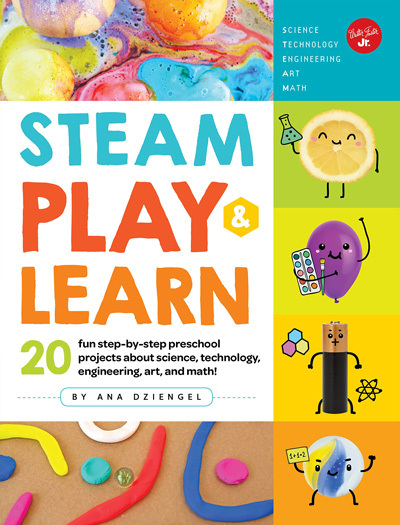 So I decided to splinter off and select special gifts for creative kids with an inclination towards a particular aspect of STEAM. 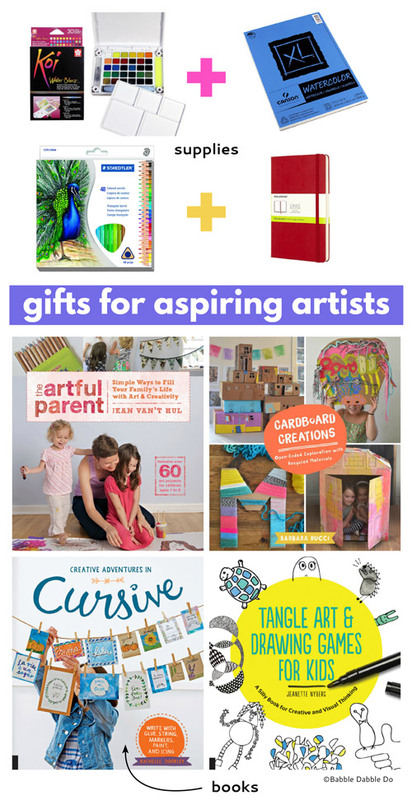 These books are sure to get your children’s creativity flowing! 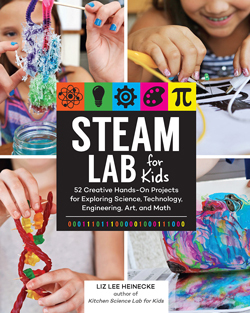 They are general STEAM books with compelling projects to introduce the concepts of STEAM and the problem solving process to kids. My book! Yay! Of course I love my book but I think your child will too. 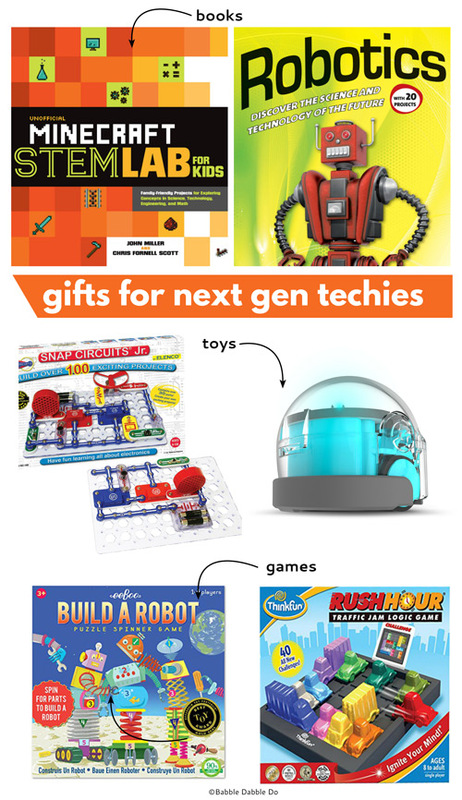 STEAM Play & Learn was created for kids. 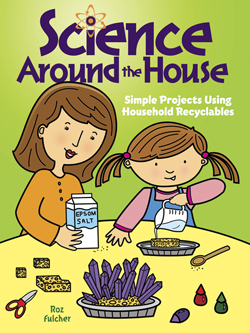 The book contains playful illustrations and colorful photos to entice kids to pick out a project and enlist their parents help gathering materials. After that it’s hands-off adults! 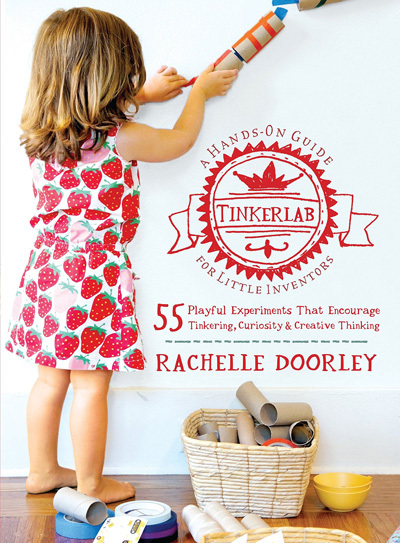 This is a classic book by Rachelle Doorley of Tinkerlab. Rachelle was one of the first people I know to promote the idea and term tinkering and she is a leader in the field of process based, creative exploration. I turn to this book over and over again for easy creative prompts and ideas to try with my kids. 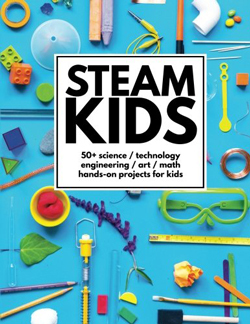 STEAM Kids is a collaborative book created by 11 authors including me! 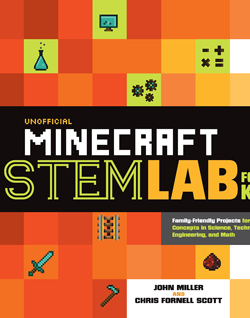 It was the first book to really embrace STEAM in lieu of STEM and contains a wonderful collection of projects. This book is best for school aged children. 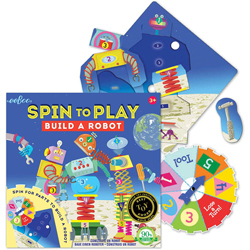 Older children will love this collection of projects featuring bots, circuits, tessellations, crystals and more. This would be a wonderful resource during science fair season! The graphic design nut in me fell in love with this book the minute I laid eyes on it! 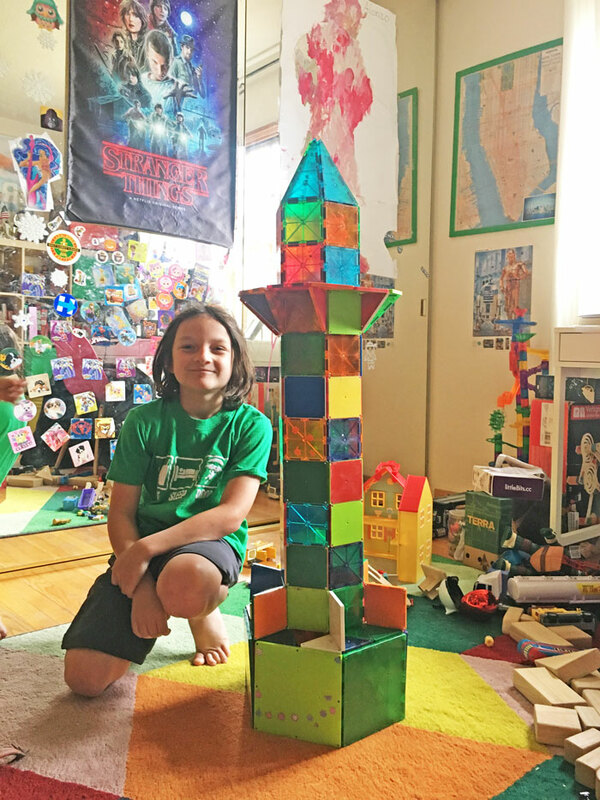 Not only are the projects fun and inventive, the layout is totally irresistible and will make you want to try all of the projects immediately! If you don’t believe me click on the link to see inside the book. This is the best toy ever. I can confidently say that after having had my three children play with these starting at age 3 and still going strong at age 11. I bring these to camp each summer and am amazed at what the kids create with them. 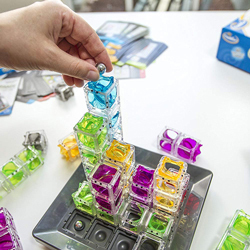 Last summer we had a tower building challenge all week long with Magnatiles. We also had a group of kids turn them into a school for bots we made in camp. 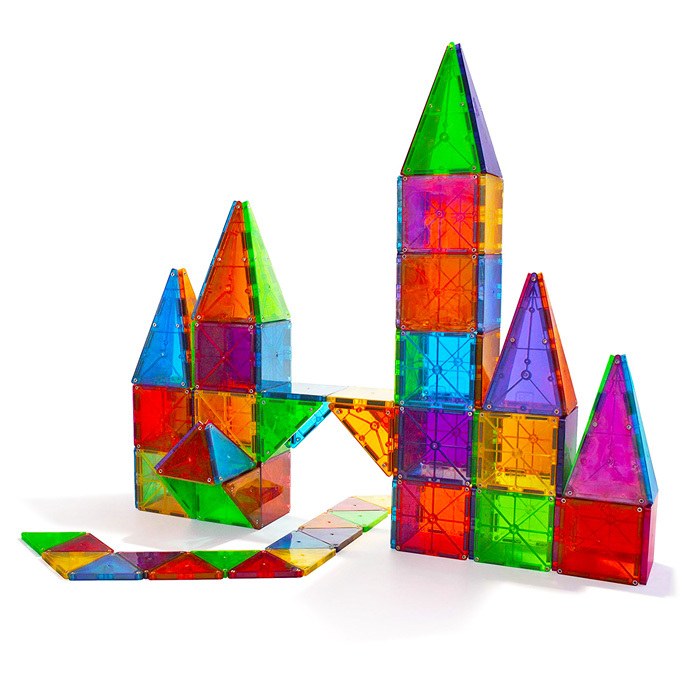 I cannot say enough about Magnatiles and if the price scares you, believe me when I say it’s an investment you won’t regret Better to spend the money on a toy that lasts years than less on a toy that will be discarded in a month. Here’s my son this spring with our set that has lasted us 7 years. 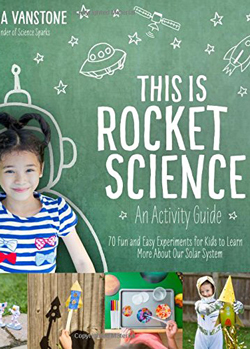 If you have a curious kid who can’t get enough science, surprise them with some of these books and games that will take them on their next inquisitive adventure. 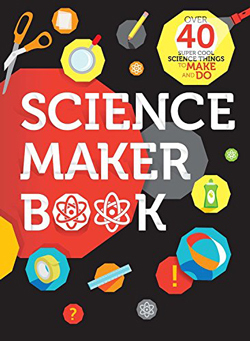 The perfect book for makers who want to learn about the science contained in their creative projects! Bestill my astronomy loving heart, this book is for all future and wanna be future astronauts! 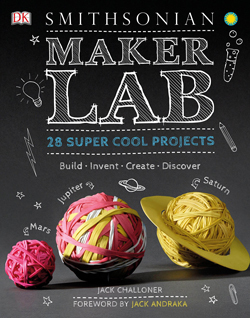 It’s got 70 creative science based projects with a space theme! 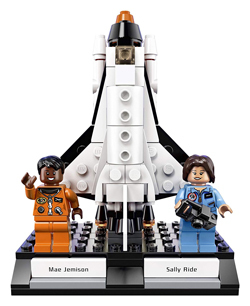 While this is a commemorative set, I say hats off to LEGO for dedicating a collection to women in space. We need more women STEAM fields and it matters to girls and boys to see themselves represented and celebrated as heroes. Gift this to the aspiring astronaut in your house, girl or boy! 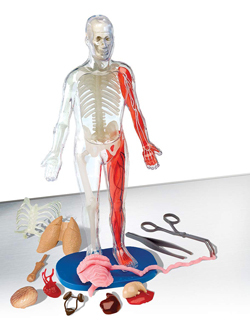 For future doctors and life scientists the squishy organs in this human body model are irresistible! Think operation on a much more realistic level. 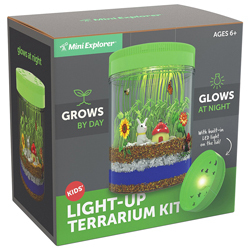 I’m usually not a huge fan of kits but this one would be fun to grow inside during the cold winter months! 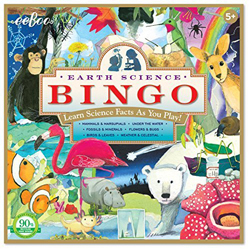 Eeboo makes the most beautiful products and this Earth Science Bingo game is gorgeous! 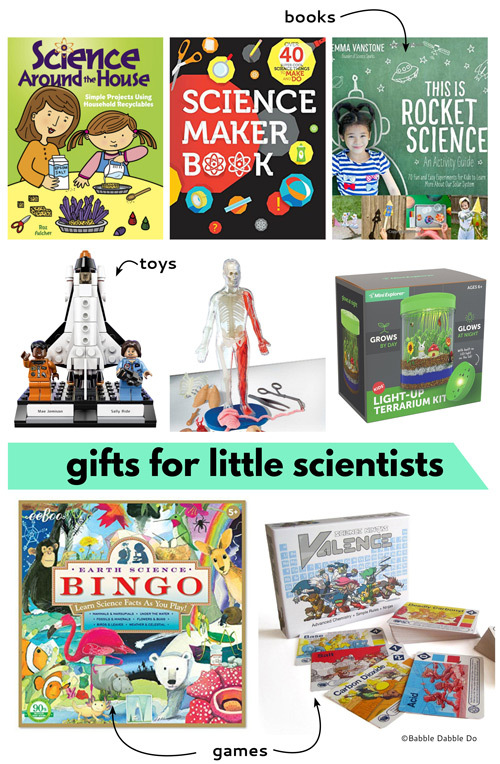 Kids will learn science facts as they play bingo. I ordered this for our family this year based on the reviews. Ninjas meet the periodic table. I cannot wait to play on Christmas Day! 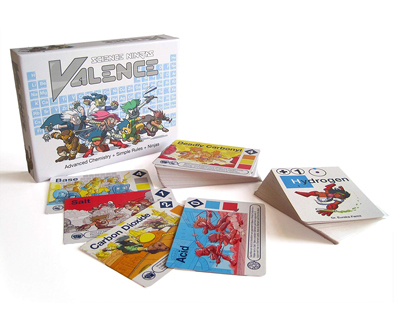 Please note: This is a card game and was originally a Kickstarter idea. It does have a higher price tag for a card game than a mass produced game. My son practically ripped this out of my hands the moment we got it. I love the tie in to Minecraft and kids will surely be intrigued to try real-life hands on variations of things they create online. 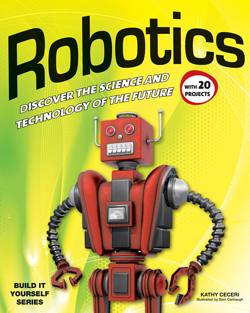 If your child loves robotics this book offers a great primer on the history and development of robotics in an age appropriate way. It also has a projects to try to further the knowledge gained as you read! A fabulous introduction to electronics and circuitry! 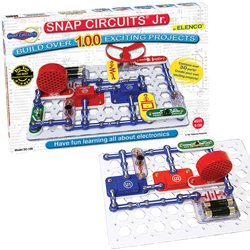 We have owned a couple of different Snap Circuit sets and my kids love experimenting with the hands-on projects from the guidebooks. We got these as gifts a couple years ago and my kids still love playing with them. They are a simple introduction to bots and coding, and easy to use right out of the box. 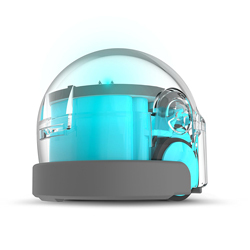 This doesn’t teach coding skills per say, but is a fun game for robotics fans! My son loves to mix and match robots part and I appreciate the retro graphics of this simple game. Ordered for the holidays! I’m really intrigued by the logic skills this game focuses on. And logic after all is at the heart of coding and programming. This book is AH-MAZING! A giant fabulously illustrated resource for how everything, and I mean EVERYTHING works. 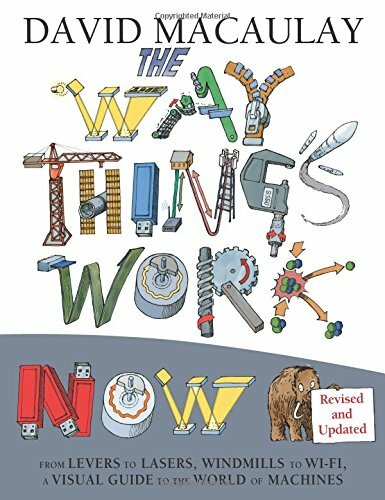 From levers to lasers you and your kids will learn the engineering behind everyday objects. 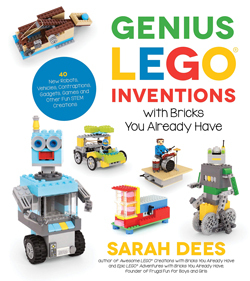 My friend Sarah wrote this incredible book that shows step-by-step instructions for building amazing LEGO creations with movable parts. 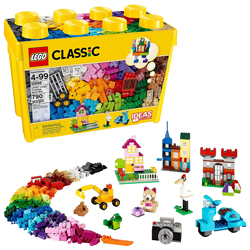 This is perfect for kids to use a springboard to take their LEGO designs to the next level. Get into an engineering mindset by following 9 real life problems that engineers designed inventive solutions for! 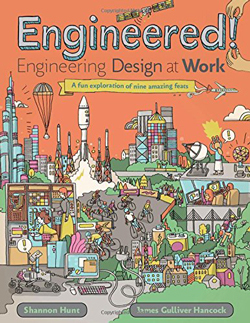 I love that this books walks you through the problem solving process designers and engineers use while working on projects. Every future engineer must have LEGOs. Seriously if you don’t have a set, get one NOW! 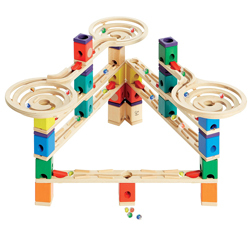 I am obsessed with marble runs and of all the sets we have purchased, this is by far my favorite. It’s an heirloom set that will last years and the combination of wood and color is completely irresistible to kids and adults! My son loves his KEVA planks. They are nothing more that nice wood planks but boy do they inspire the imagination! For little engineers that want to start making creations with movable parts. 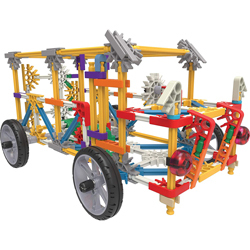 K’nex is a great kit of parts to unlock your older child’s imagination. 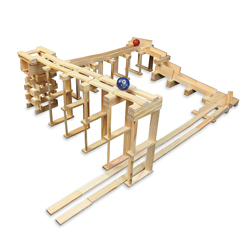 A mini marble run that requires problem solving skills to win! This game has a variety of challenges from beginner to expert so everyone in the family can play. This one made it to our list based on fabulous reviews. 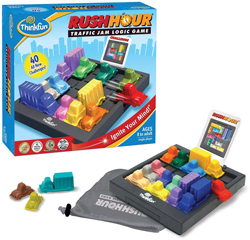 It’s a fidget type toy/game that develops critical thinking and logic skills. If you have a mini artist at home the #1 thing I recommend you buy them is a set of really nice art supplies. I used to buy giant sets of supplies that were made for and marketed to kids and frankly the quality was awful. It made me realize that teaching kids who love to draw and paint to take care of quality materials was an important lesson. Since then I have invested in quality over quantity when it comes to art supplies. This watercolor set can be taken on family trips, the backyard, or your child’s room. The water brush is my daughter’s favorite part, you squeeze it and water comes out the tip so you don’t need to bring water with you when you want to create art outside! Pair it with a pad of fine watercolor paper and your child will feel like Georgia O’Keeffe. My kids all love colored pencils and this is a great set of artist quality colored pencils. Pair it with a special Moleskine sketchbook and let your child illustrate to their heart’s content. Jean Van’t Hul is one of the original art bloggers and her first and classic book is still a wonderful resource in our house. 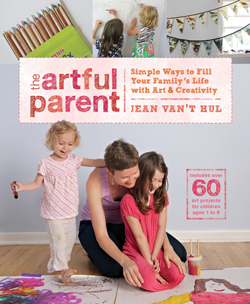 It’s chock full of easy, artful ideas your kids will enjoy. What kid doesn’t love the blank canvas of a cardboard box? 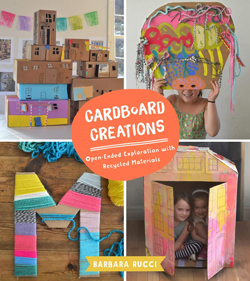 This book will inspire them to take cardboard and turn it into artful magic! It heartbreaking to see cursive being dropped in so many school districts. 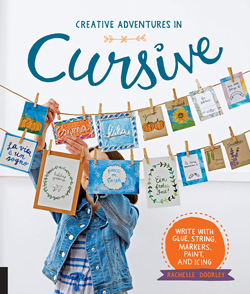 See how creative cursive can be in this wonderful book of projects featuring script. For kids who love to draw and laugh. And I mean laugh hard! 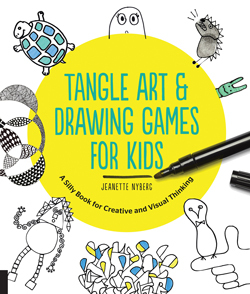 This book has games and prompts to inspire even reluctant artists to start drawing! I always feel like math is the most under appreciated component of STEAM. When I think of creative math, I envision geometry and patterns. 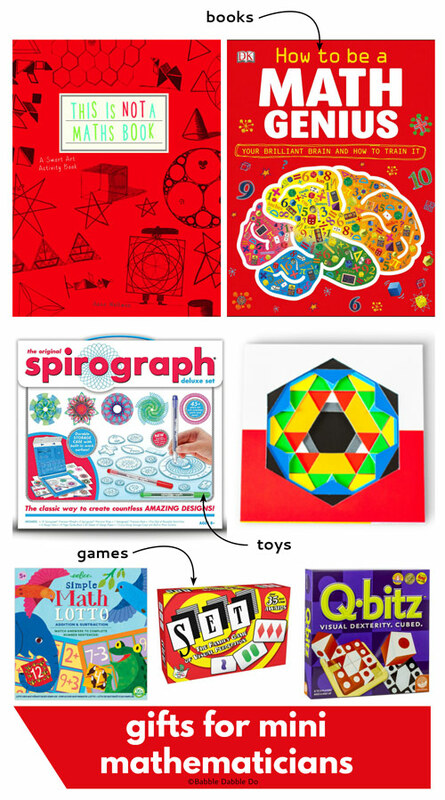 This collection of gifts centers on those aspects of math. 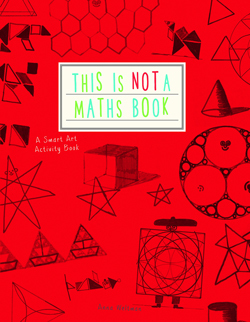 This wonderful activity book is full of drawing prompts featuring geometry! It’s lovely inside nd if you child enjoys it there are two more books in the series. 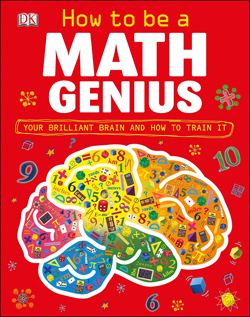 You’ll never look at math the same away after you read this book. I love all the tie-ins to math in the world around us. It also includes prompts and activities for your future math genius to try! A classic. There’s a reason Spirograph has been around for over 50 years. 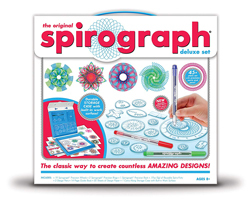 Your kids will love discovering the amazing designs they can create with this drawing set. 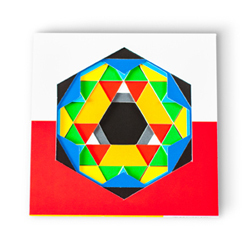 A design based toy that focuses on layering shape and color to create intricate geometric designs. Great for the coffee table too! For little learning addition and subtraction, this is another fab find from eeBoo. 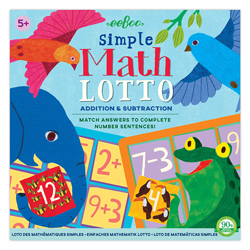 A fun way for kids to practice their math skills while having fun. 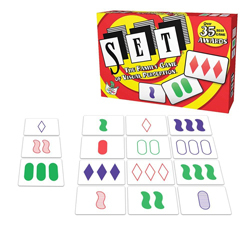 Patterns and critical thinking skills are honed in this fun card game that can be played alone or with the family. We take this on family trips! My son asks to play this game all the time and I admit it’s also one of my favorite games to play. 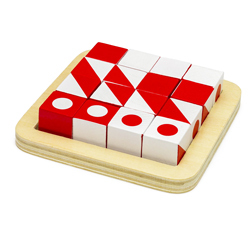 The objective is to solve geometric patterning puzzles before anyone else. Well phew! That was exhaustive! And now you know a few things that will be under our Christmas tree this year so shhhh…don’t tell my kids!